Just like wood, stone has made a mark for itself in the architectural- and interior design worlds. Since it’s available in so many different shades, shapes and sizes, it is welcome in just about any style or spot, bringing a beautiful mixture of motif and detail to the home. 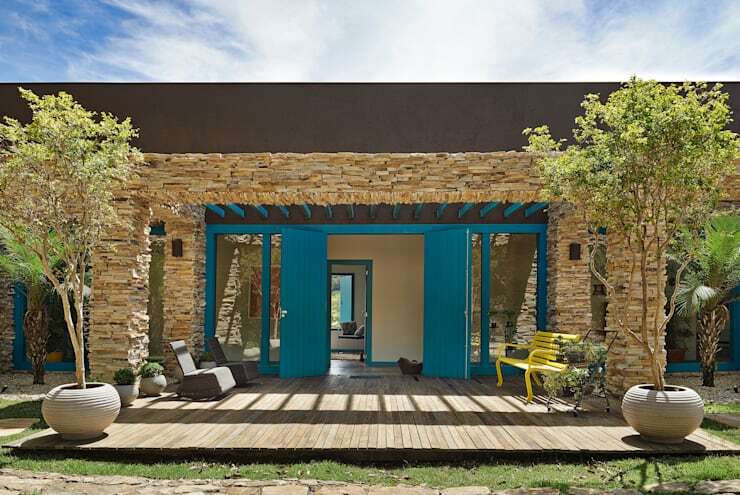 We know you love beautiful spaces, and we know how much you adore stylish tips – that is why we bring you both with these 15 prime examples of how a stone wall can add some eye-catching pizzazz to your house. Use it for an indoor living room wall, or have it adorn a piece of that exterior façade wall: it is completely up to you! In this earth-toned kitchen, the stone surface does a tremendous job of enhancing the rustic look. See how perfectly it goes with the timber stools. Here we have prime proof that stone can be introduced just about anywhere in the home. 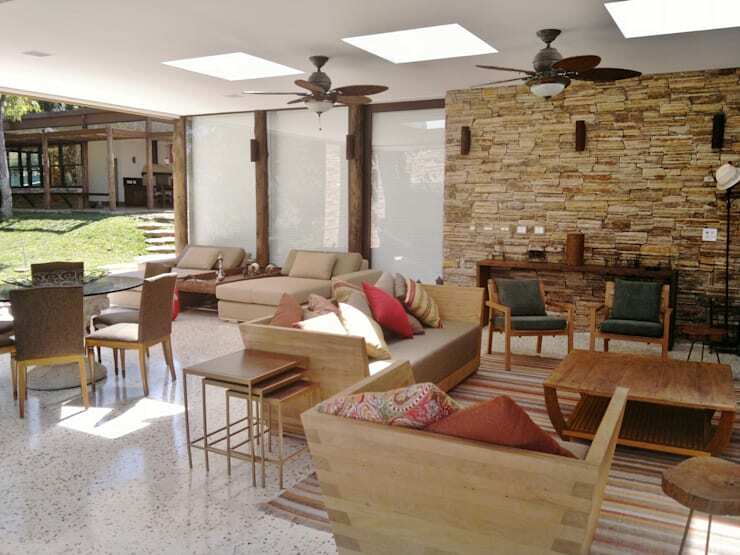 The furniture, carpet, and even the scatter cushions work in such beautiful harmony with that raw and refreshing stone look. 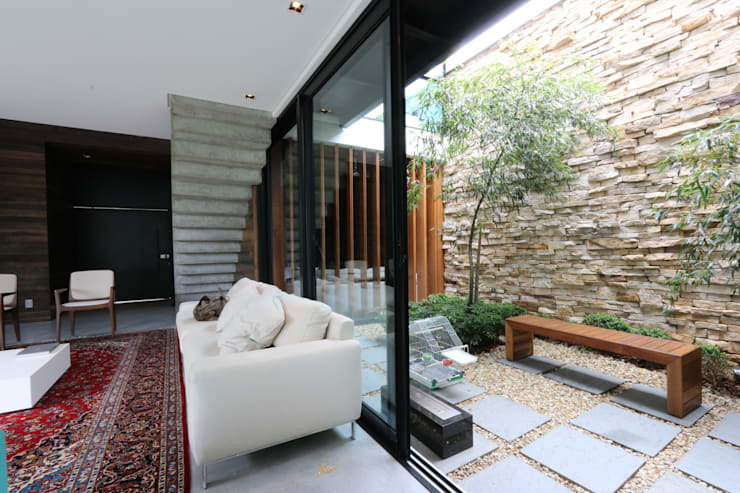 Notice the exquisite detail that occurs when stone adorns an exterior façade wall, especially as it contrasts with the wooden deck of the flooring. Even though stone usually looks raw, it can be quite soft and cleansing when painted white, as this fantastic bathroom above proves. Seeing as stone adds such a delicious texture to a space, it can be most becoming when introduced to a garden area, like this terrace with its selection of potted plants prove. 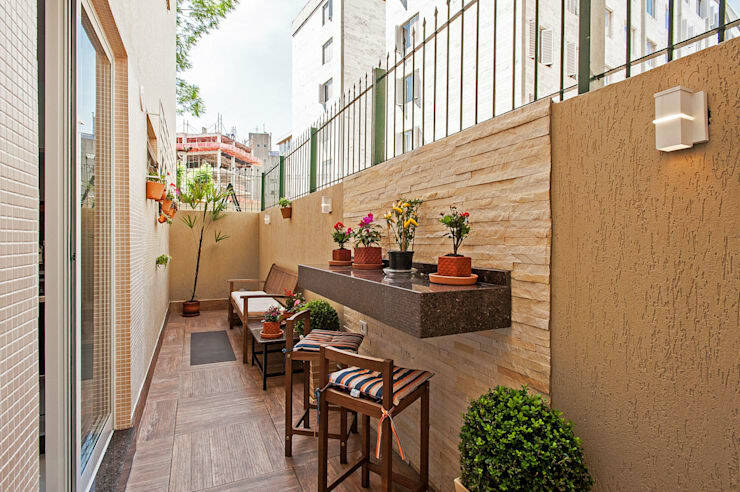 To reiterate our previous point, we show you this courtyard with a stone wall mixed with trees and shrubs. Notice the delicate detail, like the texture and colours, introduced to the scene without being too overwhelming. 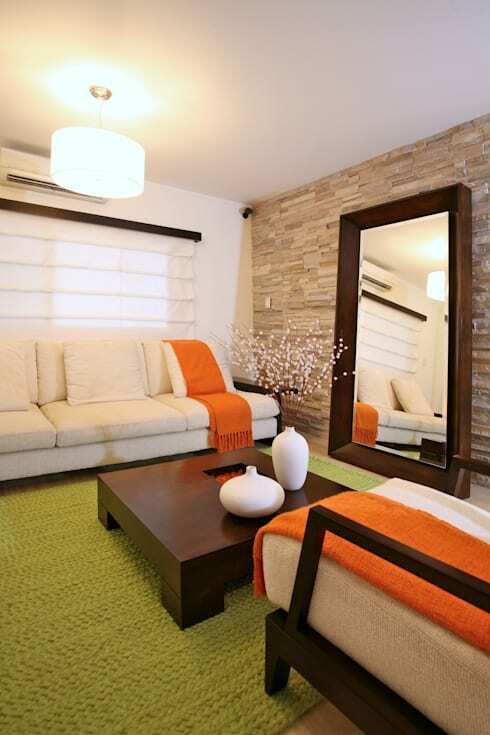 You can be sure that a stone focal wall will bring sophistication to your interiors, like this living room proves. With such texture demanding attention, there is basically no need to add any wall art! 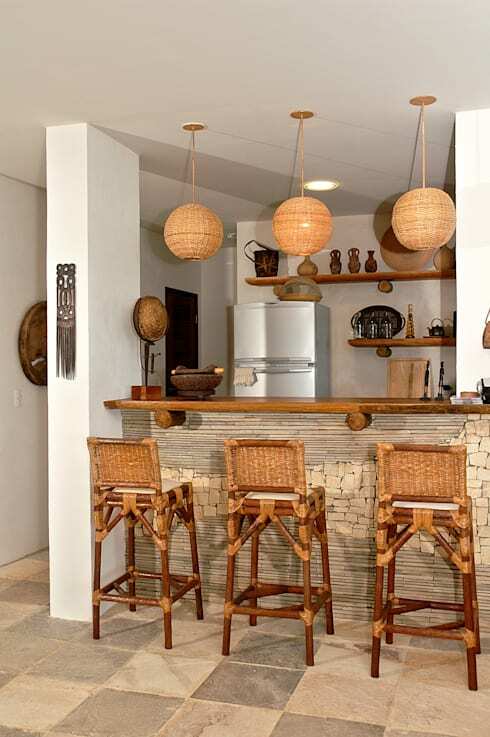 Raw stone can adorn select surfaces without making your entire interior area seem rustic, like this bar peninsula proves. 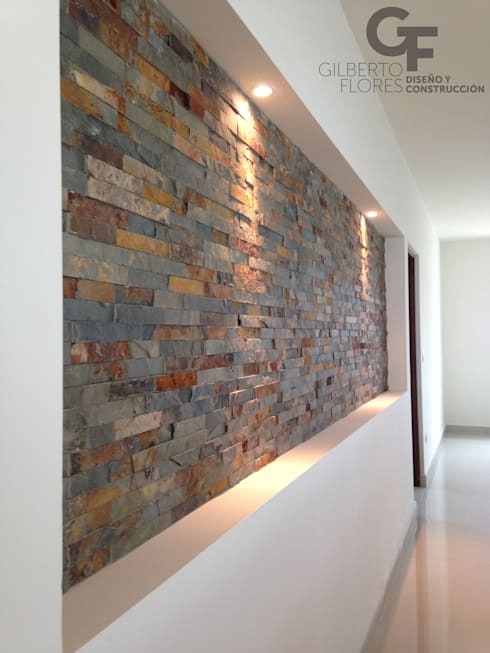 We just love how the stone wall above mimics a timber look, especially as it flaunts the same tones as your typical wooden surfaces. 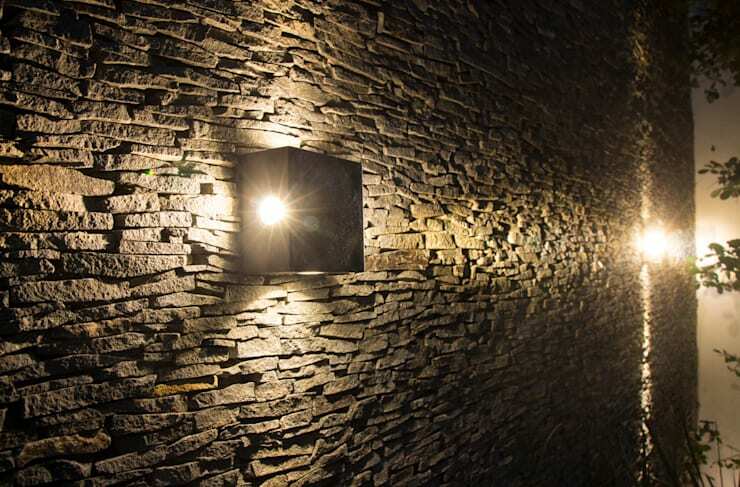 Don’t forget that lighting can definitely enhance that textured look of a stone wall, as shown in our example above. 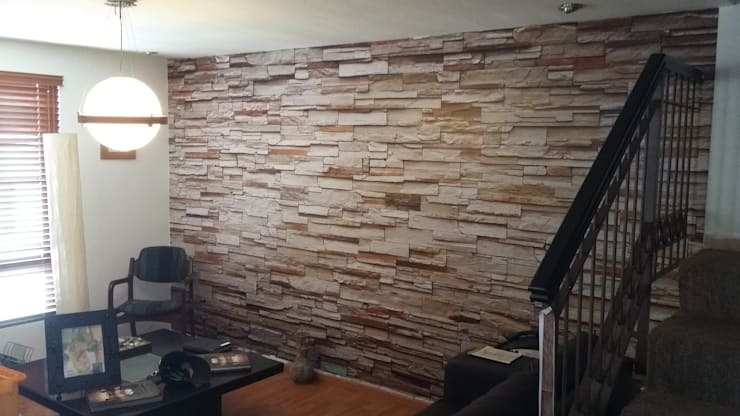 Don’t confuse a stone wall with a monotonous look; adding different coloured stones to one feature wall can result in a most striking design. 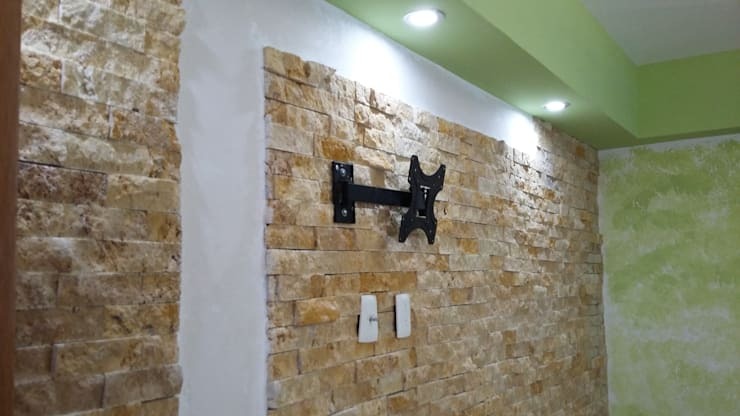 When bigger is better, you can always opt for thicker stones that flaunt a brick-like look to recreate a gorgeous brick-wall effect in your house. Notice how select tones of this stone wall balance with the brown of the floor and window treatment, creating a firm link and visual flow in this interior space. 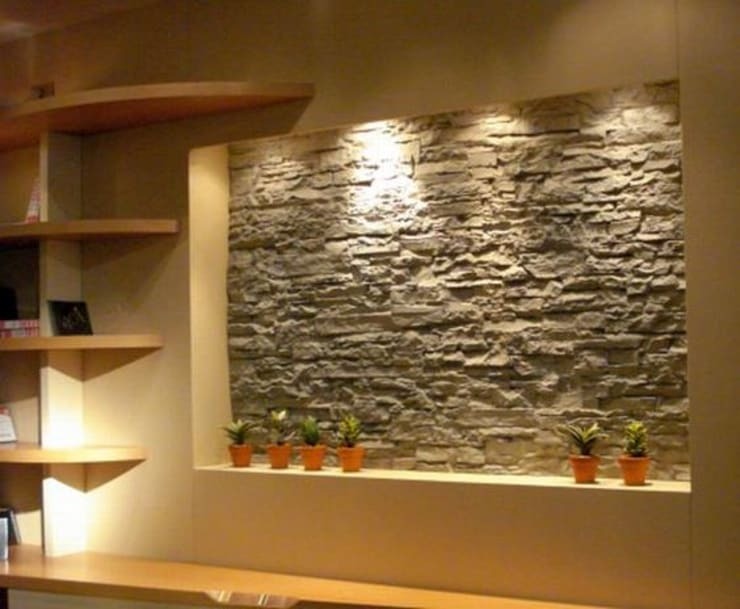 How about a niche-like spot in the wall with a stone interior, beautifully transforming it into a piece of wall art? The miniature potted plants below ensure some delicate touches. 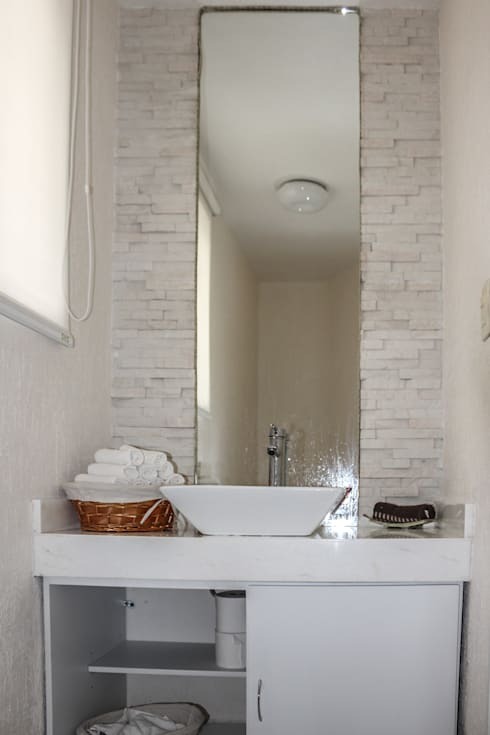 If you’re going to stick with one colour (like in this bathroom above), stone can ensure some striking texture and pattern to break up the colour and add some visual interest. 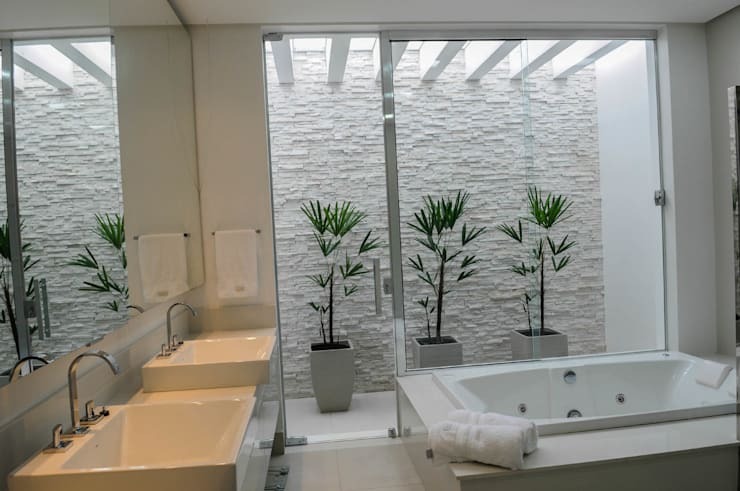 Speaking of bathroom beauty, let’s take a look at: The Golden Rules of Bathroom Renovation. Which of these stone-style ideas will you be trying out back home?